The Clarkston Culture Fest aims to highlight the best of what Clarkston has to offer, and to share it with others. The theme is: "Educate, Appreciate, Celebrate." People joined the fun as they gained education regarding the cultural diversity within Clarkston. 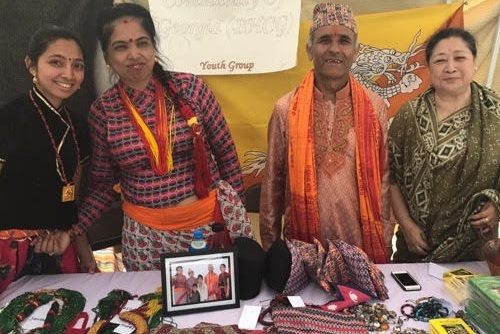 Festival goers also gained appreciation of the various foods, music, languages, vendors and activities. Past Clarkston Culture Festivals were a successful and grand Celebration of the unity within this small impactful community! Find out about the foundations of the festival. Ready to take the next step? Come to this year's festivities! See photos from last year’s Clarkston Culture Fest! Consider being a Sponsor for 2019! LET’S MAKE THIS BIGGER THAN EVER!! !